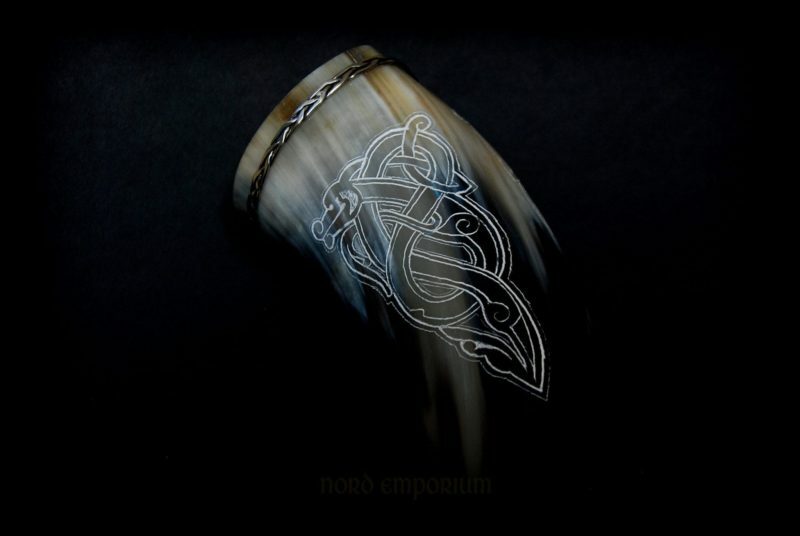 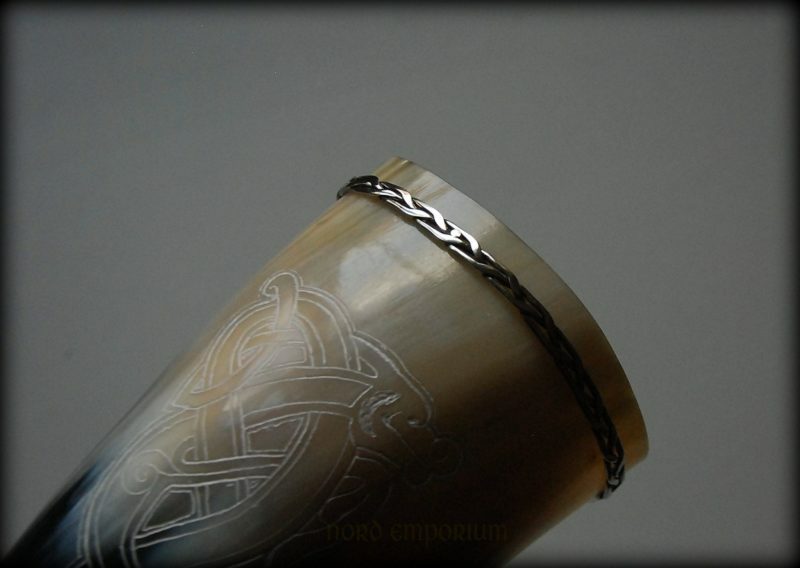 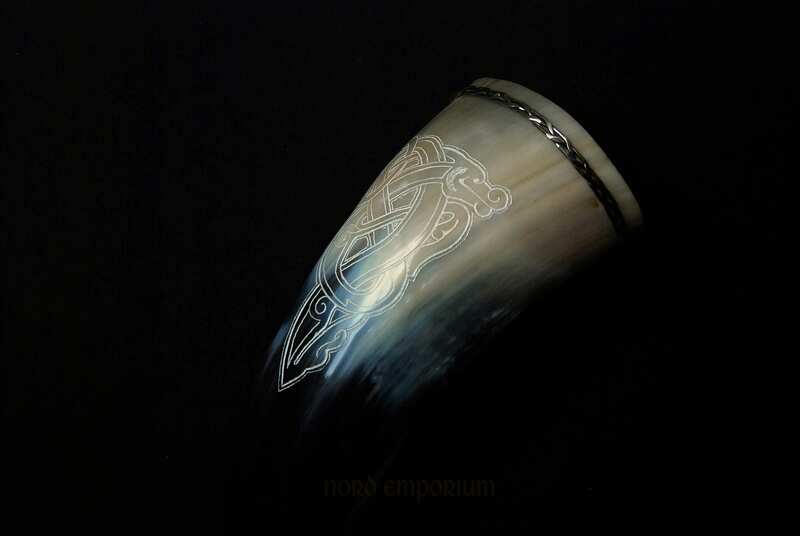 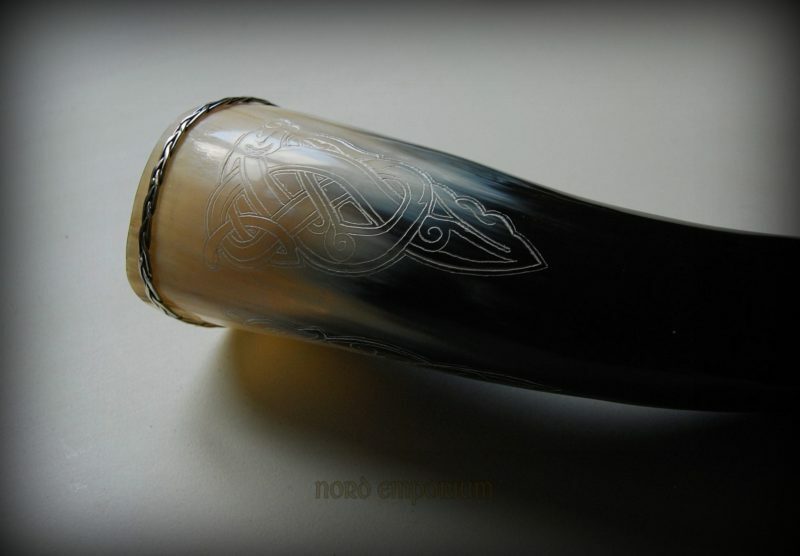 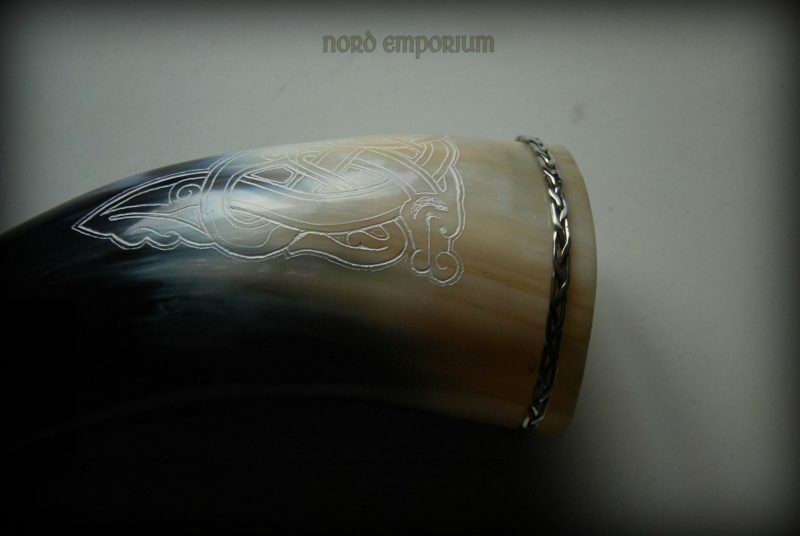 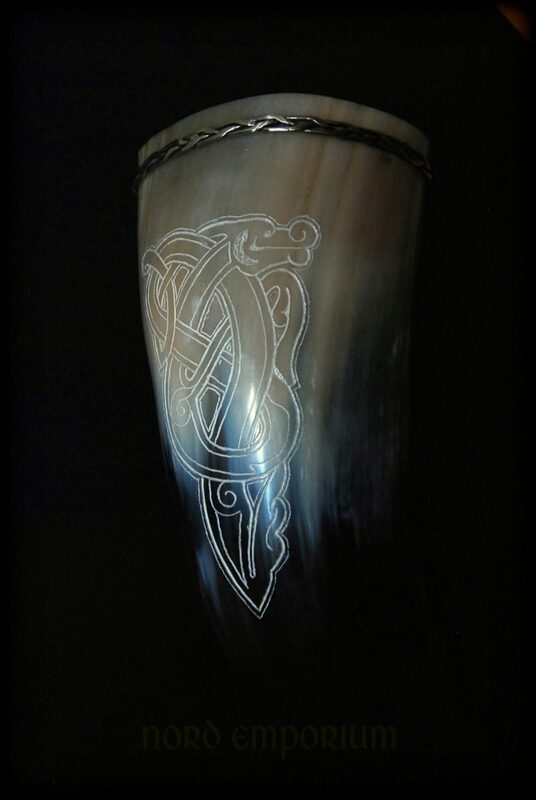 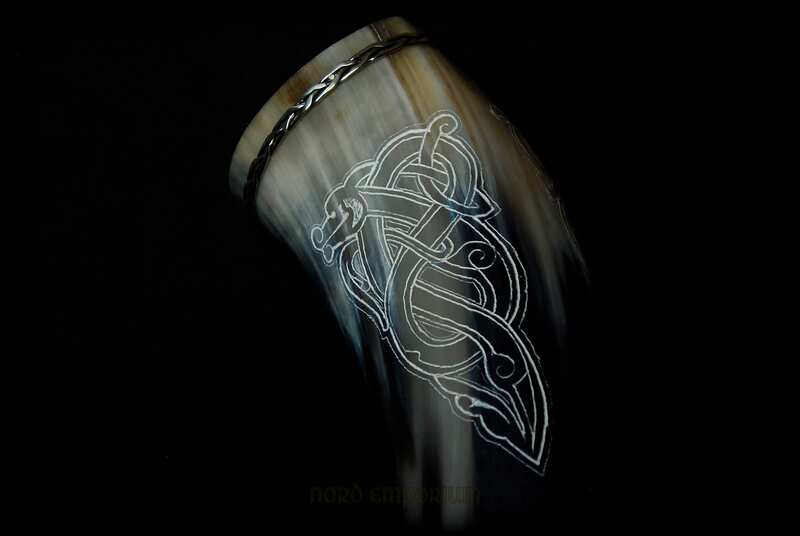 Traditional Viking Drinking Horn with engraving an animal motif from a pin of fibula found on The Hill of Tara in Ireland. 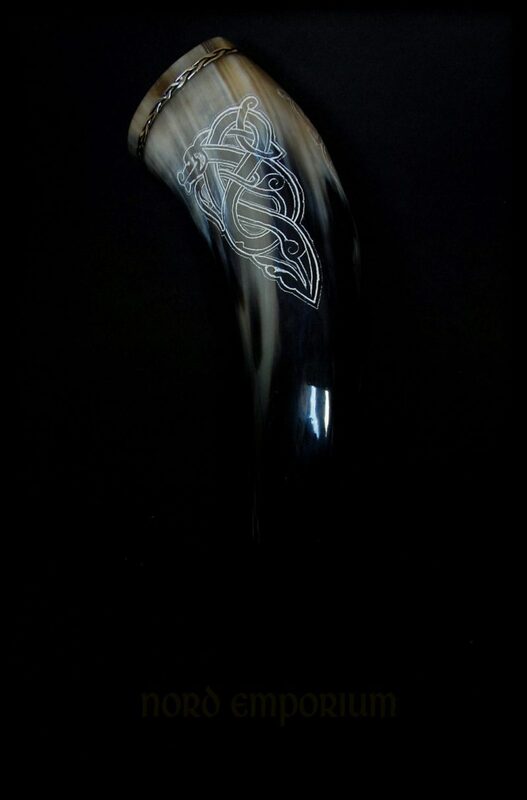 The Hill of Tara located near the River Boyne, is an archaeological complex that runs between Navan and Dunshaughlin in County Meath, Ireland. 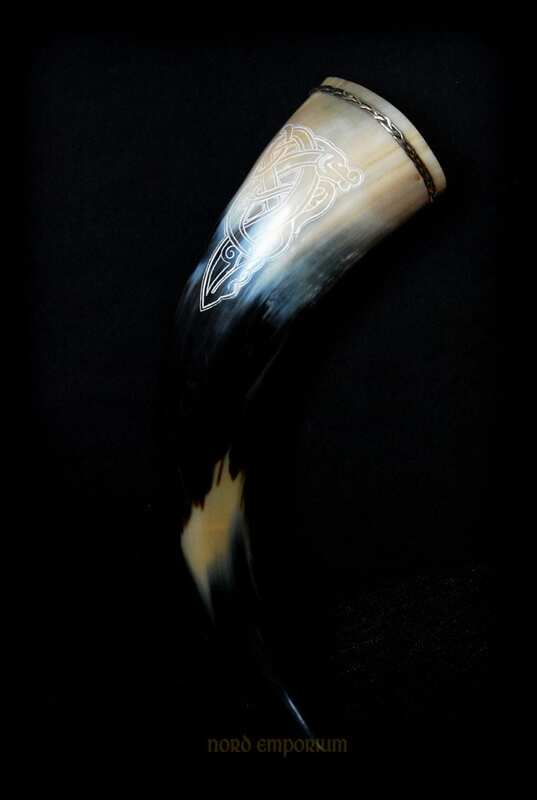 It contains a number of ancient monuments and, according to tradition, was the seat of the High King of Ireland. 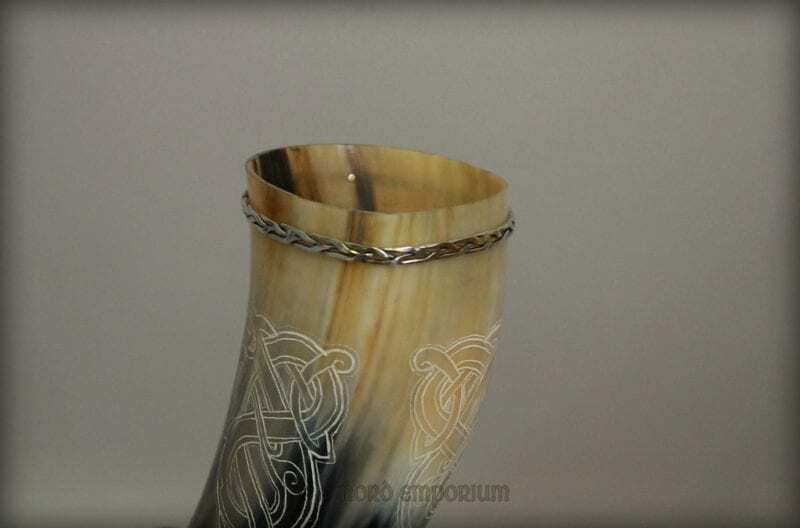 The Horn with silver accent, braided ring made of sterling silver.